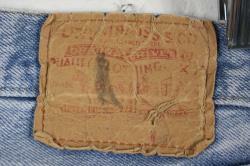 Vintage selvedge button-fly levi's from the 1970s. 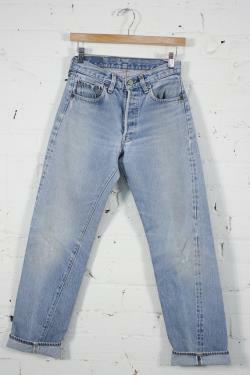 Jeans are lightwash but have a missing back pocket that reveals the jeans original medium wash. 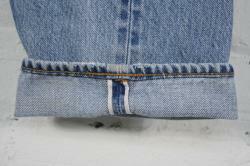 Jeans are worn-in, faded and have been patched in the crotch. 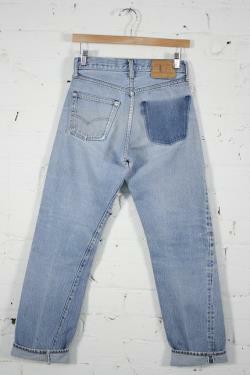 The name "steve pippin" has been written on backside of one of the front pockets. Great worn-in condition, very soft and broken in. The size on the back tag is unreadable after years of wear.